This is a must see Camelot by the Lake Condo with lake views and access to the Conway chain of lakes!! Come and see this updated, open floor plan, 3 bedroom / 2 bathroom turn key condo which looks out over Little Lake Conway located in a central location to downtown Orlando, shopping and the airport. 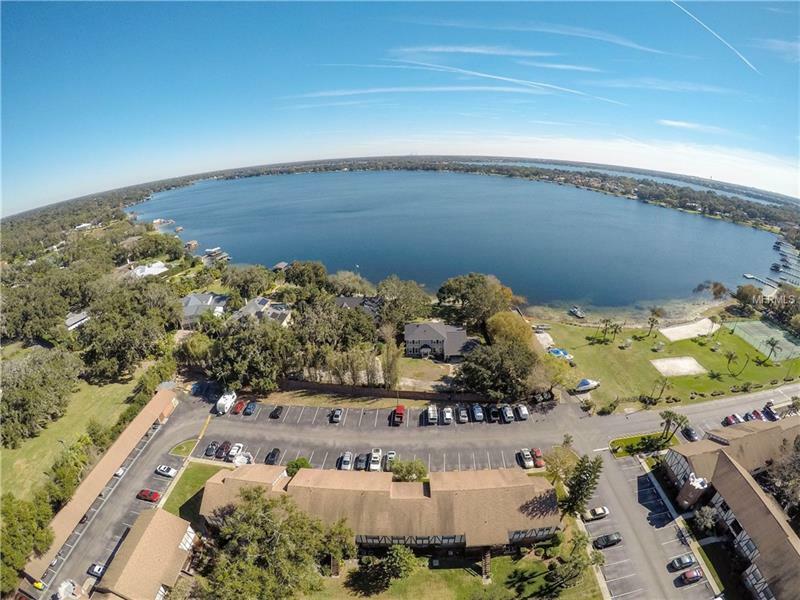 You can enjoy what the community has to offer with 2 swimming pools, tennis courts, a beach, storage for your boats, a boat launch and lake frontage so you can take advantage of the Florida lifestyle and take your family and friends out on the water to enjoy fishing, paddle boarding, water skiing or just cruising the chain of lakes and relaxing. When you walk in to your new home you are greeted with a lot of natural light and an open floor plan. The kitchen is open to the dining room and leads out to your back porch and entrance. All 3 bedrooms are large and have good sized closet space and both the Master bathroom and hall bathrooms have recently had new vanities and toilets installed. The electrical panel, AC and hot water heater have recently been replaced so you can move in having these big ticket items already replaced. Lake view condos rarely come on the market so come and take a look.